For several days in a row, southern Yemeni cities have been a scene to popular protests against the Saudi-backed government of Abdrabbuh Mansour Hadi amid worsening living conditions. The demonstrations, the largest anti-government move since a Saudi-led Arab military coalition waged a war against the country in early 2015, are condemning the policies of Hadi government and the Arab coalition members. According to the London-based Al-Quds Al-Arabi newspaper, the demonstration chanted “O Salman, you are the mercenary of the Americans”, in a reference to the Saudi King Salman bin Abdulaziz whose country leads the campaign in Yemen with the assistance of the US. They also chanted: “You the pro-legitimacy sides, you have impoverished and humiliated us,” dismissing the Saudi excuse under which it launched the war against Yemen. Aden and some other provinces, where the Hadi government is operating, witnessed rallies against the deterioration of living conditions caused by surging food and fuel prices. 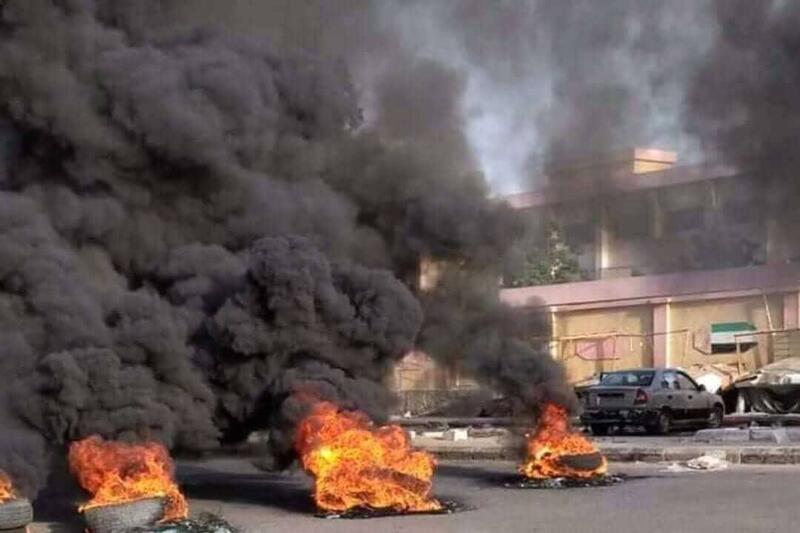 In the city of Aden, the state workers joined the businessmen and other citizens in a strike that saw them closing the main streets of the city. The protests also took place in Seiyun, the second-largest city in Hadhramaut province. The protestors burned tires, closed the markets, and prevented the work of the state institutions. The people in the city of Radfan in Lahij province also voiced their opposition to the economic collapse and the presence of the Arab forces on their soil. The local leaders in the Southern Transitional Council, a separatist group, called for a large-scale popular uprising in the south. The key demand of the demonstrators is the resignation of the largely-dependent government of Hadi and restoration of security by the withdrawal of the occupying forces and end of the war, now in its fourth year. Since the start of the Saudi-led aggression, the Yemeni currency, rial, lost over half of its value against the US dollar, leading to surge in the costs of the basic goods. The situation is worsened by the delay in salary pays amid a serious drop in the government income and the foreign currency reserves. To address the challenges, the government promised to take some remedial measures, including increasing the oil exports to pay the delayed wages, halting luxury imports, and raising the pays for the state employees. Despite the government promises, the protestors said they will not leave the streets until their other demands like reducing the goods prices and sacking the current cabinet are addressed. The Yemeni Prime Minister Ahmed Obeid bin Daghr, who formed a government in 2016 with support from the coalition and the Western powers, has been grappling with legitimacy crisis. The economic crisis is even making things worse for him. Saudi Arabia, a patron to the PM, in January said it will depose $2 billion in the Yemen central bank in a bid to prevent further currency value loss. But the measure did not help so much as the national currency kept plunging. The experts argue that the government’s mismanagement and the Saudi-UAE alliance’s pressures are the key factors behind the present economic predicament— the government by printing currency without backing it up by gold and the alliance by destroying the country’s economic infrastructure. Abdullah Makbwali, the minister of finance in the Sana’a-headquartered National Salvation Government, accused the Hadi government and its Arab allies of taking some measures which pushed the economy and national currency to a collapse. He said that first mismanagement by Hadi was the relocation of the central bank from the capital Sana’a to Aden, where the occupying countries controlled the nation’s currency mechanism and the incomes, including the oil sales cash. He added that the coalition by means of Hadi printed billions of rials. He called for the UN to shoulder the responsibility because it gave green light to Hadi to print, against the calls by the lawmakers and the National Salvation Government to the UN Secretary-General Antonio Guterres to disallow that. Makbwali also accused Saudi Arabia of seizing the Yemen oil income, saying Riyadh transfers the money to a bank account in Jeddah, Saudi Arabia, and not to the Yemen central bank. Yemen is the poorest Arab country which is dragged into a humanitarian crisis by the several-year war. The Saudi-led air campaign is the root cause of Yemen plight. The alliance’s air raids not only reduced to rubbles the infrastructure such as the bridges, airports, power plants, factories, but also the vital places like the schools and hospitals. The UN has defined the humanitarian plight in Yemen as the “gravest in the world”, making 22 million people, around two-thirds of the population, in urgent need of food and humanitarian aids. The UN suggests that of this population around 9 million are incapable of accessing even one meal a day and 2 million children are suffering from extreme malnutrition. The Norwegian Refugee Council (NRC) in a statement said that the rise in food prices comes while the people are already under economic pressure. Millions of Yemenis are now on the brink of death amid a serious famine. The NRC is a humanitarian organization that offers help to those forced into displacement by critical conditions. Mohamed Abdi, the director of the NRC in Yemen, said that the four-year Yemen war has killed thousands of civilians and displaced over 3 million others amid ongoing airstrikes and economic gloom. How is Geneva Negotation? Ansar Allah Delegation Prevented of Attending! !